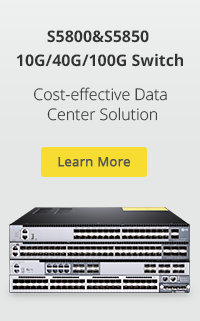 EPON is based on long-distance optical fiber transmission network Ethernet access technology. EPON uses multipoint architecture, an optical fiber carrying data signals down the line, after 1: N optical splitter signal into N Road, branch coverage of light multiple access point or access users. EPON and GEPON term in tradition, there is not a state error. Early EPON equipment industry is based FE bus, bus-based EPON equipment GE launched, in order to distinguish called GEPON, EPON equipment industry at present is essentially based on GE bus. At present basically referred to EPON. A typical system consists of EPON system is composed of OLT, ONU and ODN. EPON network structure. OLT in the center machine room, it can be seen as a L2 switch or L3 routing switch. In the downstream direction, OLT to provide for passive optical network (ODN) optical interface; In the upstream direction, OLT will provide GE optical or electrical interface, the future of 10Gbit/s Ethernet technology standards after setting, OLT will also support a similar high-speed interface. 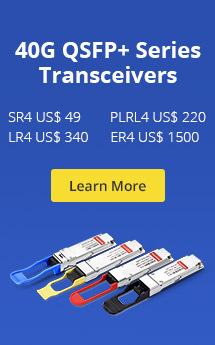 In order to provide multi-service access, OLT also supports E1 and OC3 interfaces, to achieve the traditional voice access or circuit relay service. In terms of EPON network management, OLT is the main control center, the built-in OAMP Agent, can manage the ONU in its terminal equipment, to achieve the five functions of network management. EPON network management can be defined on the OLT through the user bandwidth parameter to control the quality of user services by writing an access control list to implement network security control, by reading the MIB to obtain system status and user status information, but also provide a valid user isolation. ODN is the optical distribution network, composed of passive optical splitter and fiber composition. The passive optical splitter is connected to the OLT and the ONU passive device, its function is to distribute the downlink data and uplink data centralized. The deployment of passive optical splitter is quite flexible, because it is a pssive device, be adapted to almost all environments. Generally passive optical splitter ratio has 1:2,1:4,1:8,1:16,1:32,1:64 so on. General recommended a splitting, splitting up not more than two. ONU is placed on the customer premises side of the terminal device, EPON ONU in the Ethernet protocol, the realization of the second layer of low-cost Ethernet switching. The use of the Ethernet protocol, the process of the communication protocol conversion is no longer necessary to achieve the ONU transparent transmission of user data. Between the OLT to the ONU using encryption protocol to ensure the security of user data. Based on EPON FTTH’s advantage lie in its strong converage, as far as covering up to 20 km (1:32 split ratio), starting from the end office, after OND connecting the optical access point. Traditional optical access network, optical fiber extends the range to the network access point cutoff general, to achieve fiber to the home, you need to configure a large number of the access point port access layer switch expensive. With the passive optical network technologies emerge and mature, especially now that the EPON technology that can provide fiber tip directly to the user’s economically viable solution, FTTH become efficient access. In FTTx solution based on EPON, the introduction of how to solve the optical cable to the building, community, planning OLT, ODN, indoor user terminal (OUN) optical fiber connection becomes key. Between the OLT and ONU EPON using a single optical fiber to provide symmetric 1.25Gbps bandwidth limitations by physical interface, the actual provision of 1Gbps bandwidth to transmit data, voice and video services. EPON in a singel fiber using WDM technology, the upper and lower rows of data streams are transmitted in different frequency bands. Among them, the downstream 1490nm, upstream 1310nm, 1550nm optional for CATV. Downlink data stream using broadcast, OLT will be 802.3 Ethernet frame format data flow through unicast replication pushed all the way at the ONU; ONU Ethernet frame header by determining where the OLT assigned LLID (Logical Link ID ) to determine whether the received data frame received their own, their data will not discard the frame. Upstream data stream using time division multiple access (TDMA) technology, the uplink time into a number of time slices, according to the allocated bandwidth and service ONU priority to the ONU upstream data streams are allocated different time slots, each time point the optical fiber transmission is only one ONU upstream data streams. Negotiated between the OLT and ONU, ONU upstream avoid conflicts between, will not cause data loss. Shown in Figure 3. ADSL After several years of vigorous development, has become China’s most popular fixed-line operators in broadband access means. ADSL using traditional copper broadband data transmission resources, make full use of the fixed-line operator’s copper resources, China Telecom and China Netcom such operators, the early development of broadband access is one of the best choices. ADSL/ADSL2 + Business is an asymmetrical transmission of broadband access technologies, the uplink bandwidth is limited, less than 1M, downstream bandwidth up to 26Mbps, the actual business of covering no more than 3km distance, generally offer 512Kbps to 2Mbps downstream bandwidth, the main application the public Internet. However, with a variety of new businesses, especially the rise of video services, the user’s bandwidth requirements are increasing. With the long, online games, instant messaging, broadband telephony, video telephony, personal photo album sharing applications such as the rapid growth of users of the upstream bandwidth demand is also growing. China Telecom and China Netcom broadband network in the planning of their future bi-directional bandwidth of individual users will reach 10M-20M. ADSL bandwidth strictly limited by the transmissioin distance, the higher the bandwidth achieved only over short distances, even after the “Light of Copper” reform, reducing the coverage of ADSL, which is only in a certain period of time, to a certain extent bandwidth requirements. Based on fiber access networks, the bandwidth is theoretically unlimited extension. So with the EPON technology matures, its high bandwidth, long distance coverage, making EPON technology replacing ADSL technology will become the inevitable choice. Relative ADSL, EPON at relatively high initial construction expenditures, including pre-laying equipment costs and fiber costs. However, due to network using passive optical network technology, fiber-based PON technology in the operation and maintenance of the costs to be much lower than ADSL and copper wire. By the late operation and maintenance cost is reduced, provide higher bandwidth and more long-distance business coverage, and the resulting ability to provide more new business, bring more revenue, can be relatively offset on the cost of equipment and wiring. The fiber cost is already very low, FTTx has entered a golden period of development, the cost of equipment will also continue to reduce in the building. Thus, through the deployment of EPON carriers can be enhanced, including broadband access, including a comprehensive business competitiveness, thereby stabilizing the user resources, and even brought the loss of the user’s back, it will be for operators to bring more revenue, enabling operators to long-term benefit. With EPON technology matures, the industry mainstream operators have started large-scale deployment of EPON system, expand FTTx applications, and on this basis to achieve Triple Play (triple play, to deliver voice, data and video services), build triple play access platform. Since 2004, the most developed in FTTH in Japan, Korea, Taiwan and the United States, Europe and other countries and regions, EPON technology has been large-scale applications, and further stimulate the IPTV business prosperity. In the Chinese market, the current EPON products have been held in all provinces of the pilot and commerical. EPON technology uses wavelength division multiplexing (WDM) technology in a single fiber to achieve symmetrical 1Gbps bandwidth and client segments and can be implemented in close spectroscopic down, save a lot of backbone fiber resources. Currently the maximum achievable split ratio is 1:64. EPON system is another advantage lie in its strong coverage in the 1:32 split ratio furthest covering up 20km, at 1:64 next, as far as coverage bandwidth of each ONU user up to 30M or more, so that the video business has been enough bandwidth guarantees. The use of passive optical splitter, save a lot of maintenance resources, saving room, power matching and other resources, reducing the overall cost of FTTx network construction and maintenance costs. In recent years, the cost of fiber optic drop cable for the FTTx provide supporting cost reduction. At present the operators to provide broadband access services are mainly two kinds of ADSL and LAN access, in addition, with the increasing demand for bandwidth, VDSL is becoming an option. Other access methods, such as Cable Modem, power line access, etc. As the market share of small and are subject to industry resource constraints. This entry was posted in Enterprise Network and tagged EPON system, optical fiber transmission, optical splitter. Bookmark the permalink.